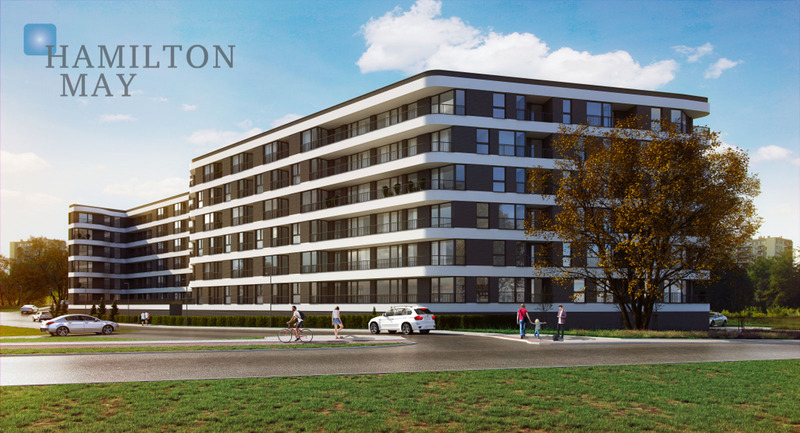 Hamilton May presents the newly created Lublańska Park development, located at Promienistych street in Krakow. The building will be completed in the first quarter of 2021. The building consists of 5 floors and features 131 very functional apartment with balconies and terraces. Large windows provide lots of natural light, while also blending perfectly with the building's modern, timeless facade. Lastly, 111 parking spaces and 77 storage compartments will be prepared in the basement area.